Microsoft is bringing a number of new features and improvements to Windows 10 with the arrival of the Anniversary update this summer. Not only will we see extension support for Edge, but the browser will also automatically pause non-essential Flash content. 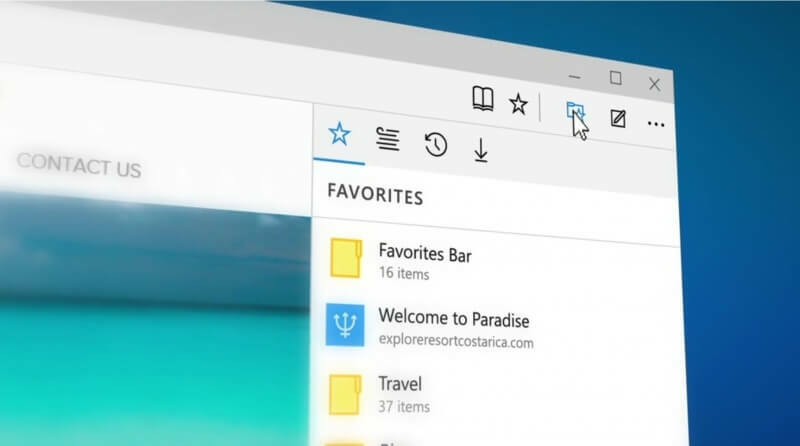 Microsoft recently released Windows 10 insider preview build 14316, which introduced three extensions to its browser. Those using Edge in the preview program will also find that Flash content “not central to the web page” is now paused. Chrome brought the same feature to all its users in September last year. "With the Anniversary Update to Windows 10, Microsoft Edge will intelligently auto-pause content that is not central to the web page. Peripheral content like animations or advertisements built with Flash will be displayed in a paused state unless the user explicitly clicks to play that content. This significantly reduces power consumption and improves performance while preserving the full fidelity of the page. Flash content that is central to the page, like video and games, will not be paused," said John Hazen, Microsoft Edge’s Principal Program Manager Lead, in a blog post. Microsoft isn’t hiding the fact that it wants to move completely away from Flash. It plans to offer additional control over its use and hopes that, in time, it will no longer be necessary to bundle Flash with Edge. An increasing number of sites are changing from Flash to HTML5. This isn’t really a surprise; in addition to the performance benefits gained from the move, there seems to be a new series of Flash vulnerabilities reported every few weeks.